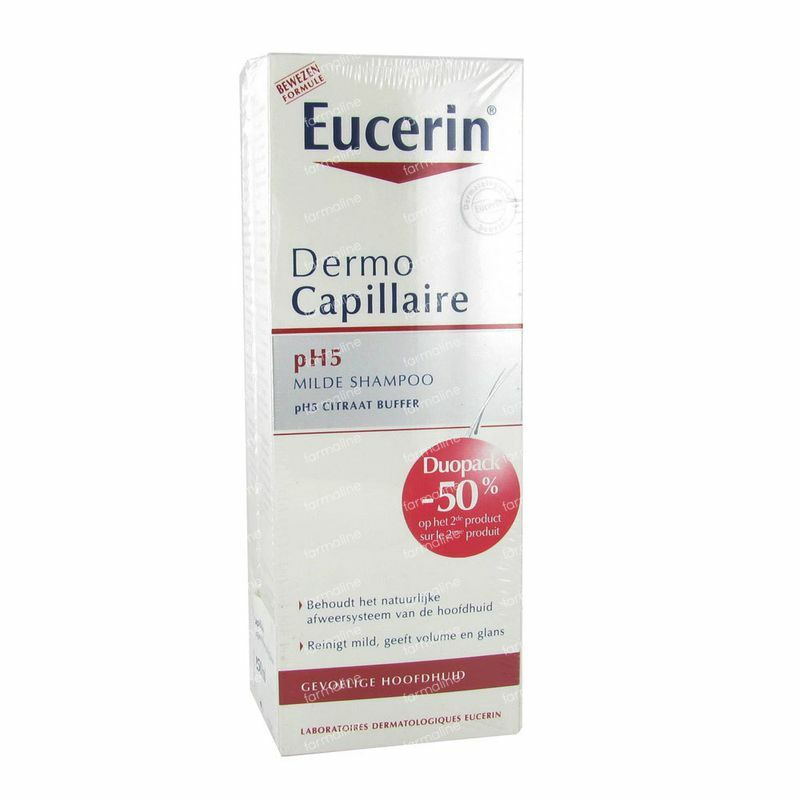 Eucerin Dermo Capillaire Shampoo Mild Ph5 2nd -50% Promo 250 ml order online. Healthy skin has a pH of 4.5 to 5,5 , making it slightly acidic. This natural acidity protects your skin from harmful bacteria and other substances, so when this balance is disturbed – for example, by heat, cold, diseases, cosmetics or stress – a sensitive scalp can result. 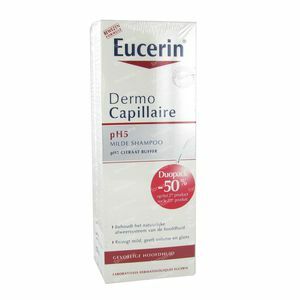 Eucerin DermoCapillaire pH5 MILD SHAMPOO is specifically designed to maintain your skin’s natural pH level, and effectively cleanses your scalp and hair to prevent dryness and irritation. It washes away dirt, pollen and allergens, and gives your hair a healthy shine and a soft, supple feeling. Free from colourants, parabens, silicones and alkali. Water, citric acid, panthenol, parfum, PEG-120 Methyl Glucose Dioleate, PEG-40 Hydrogenated Castor Oil, Polyquaternium-10, Sodium Chloride, Sodium Cocoamphoacetate, Sodium Laureth Sulfate, Sodium Myreth Sulfate, Sorbitol.